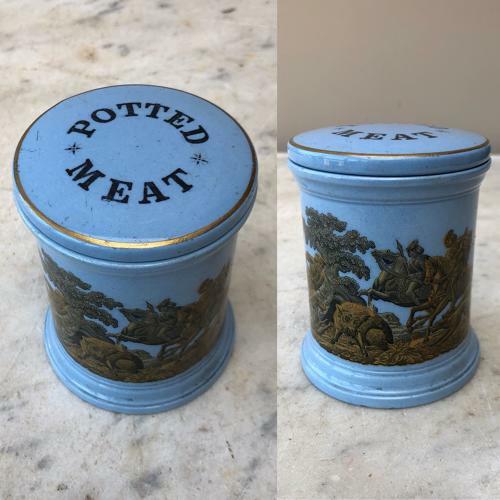 Victorian Blue POTTED MEAT pot with the rare and nearly always missing lid. Such good condition for what it is & very clean...these pots were thrown away and many are dug up in not great condition. The lid is excellent - one weeny firing imperfection which is covered over in blue so not really noticeable. The pot base has one tiny nick to the top edge (put to the back) & when you turn it upside down two small chips on the base...not noticeable when the right way up.